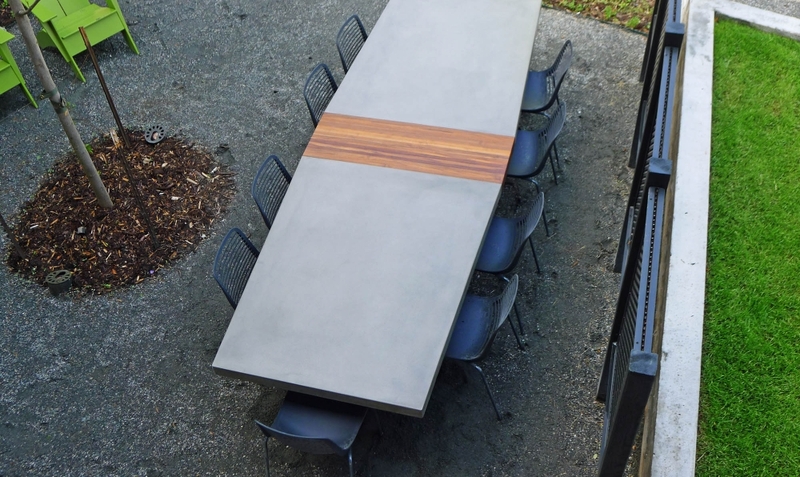 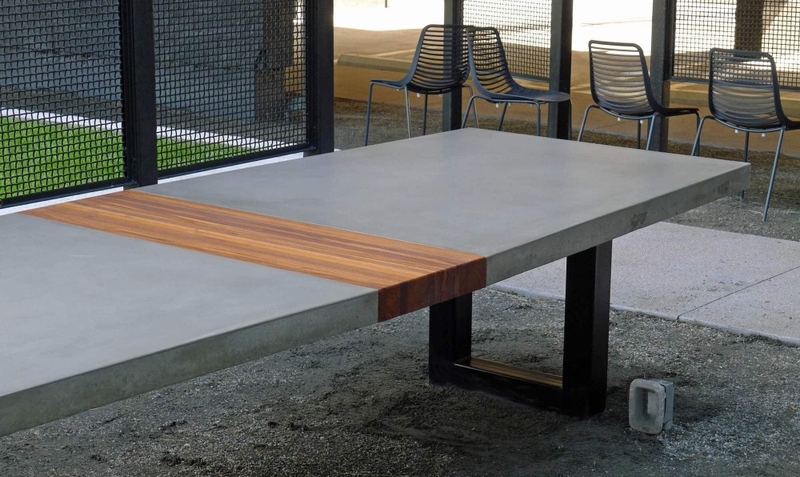 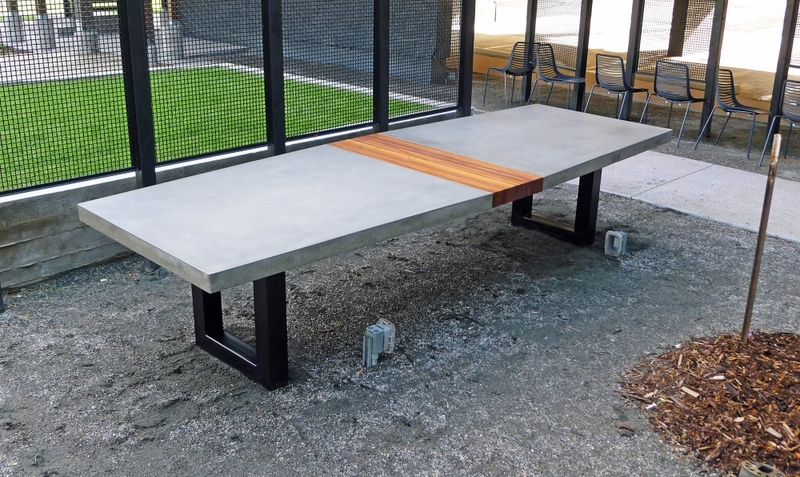 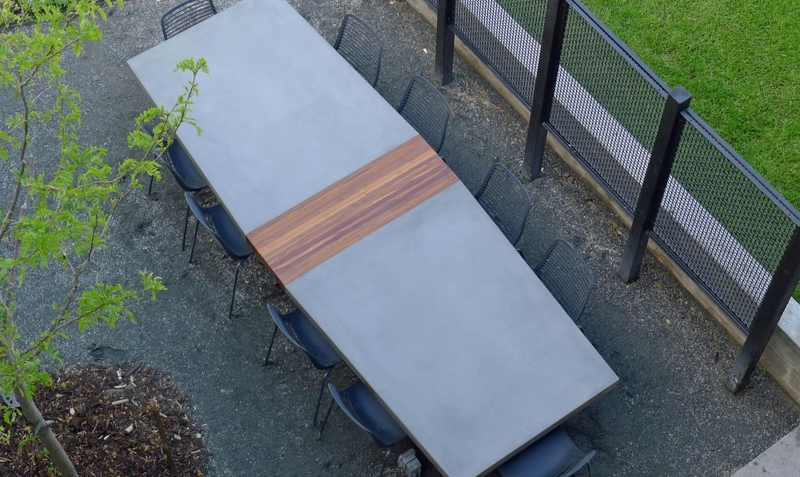 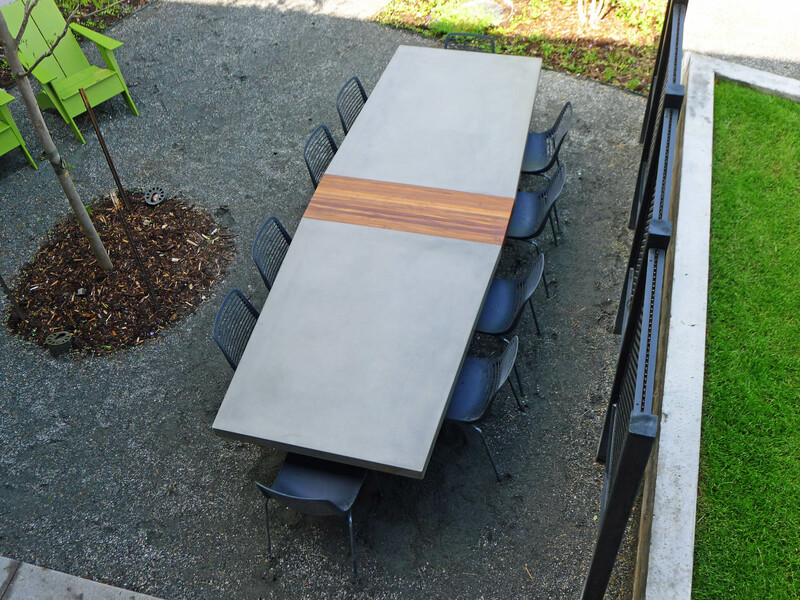 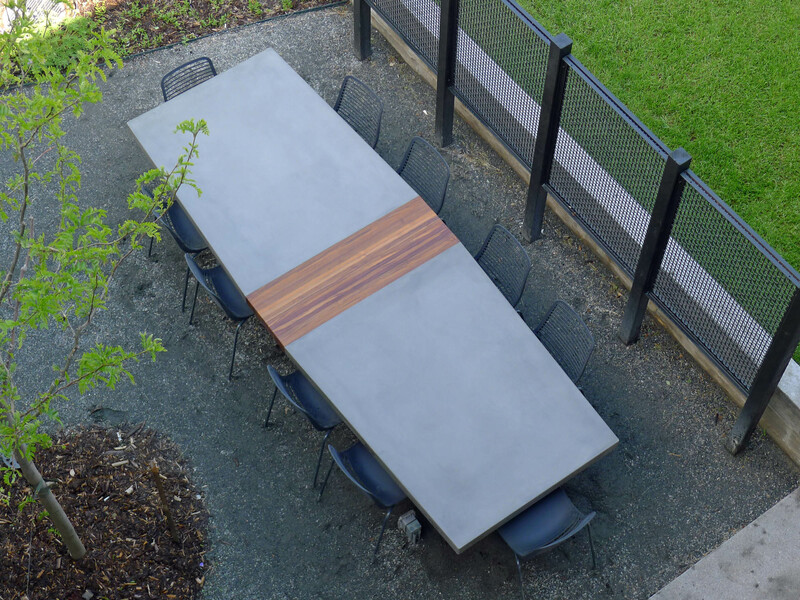 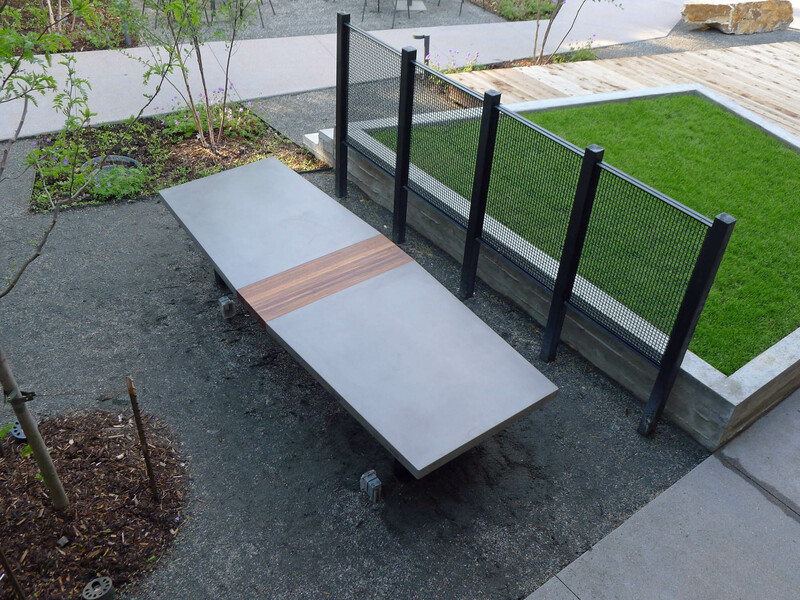 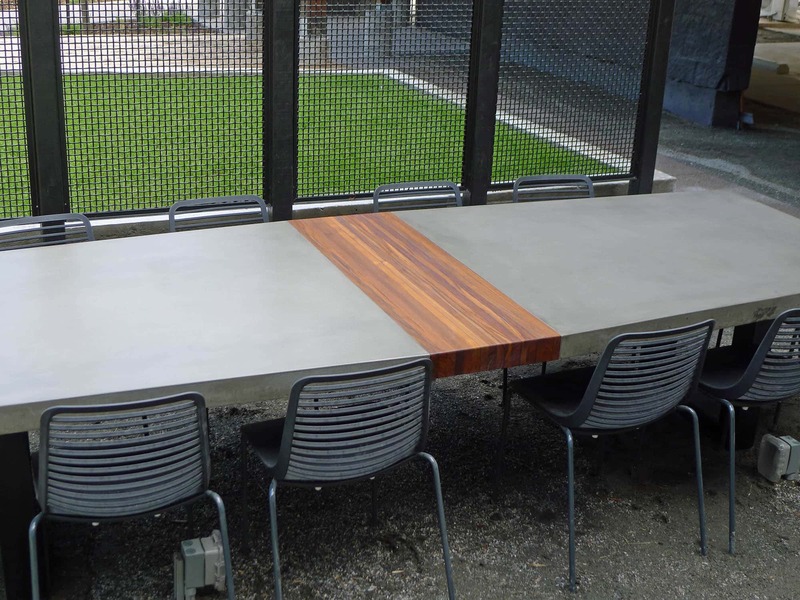 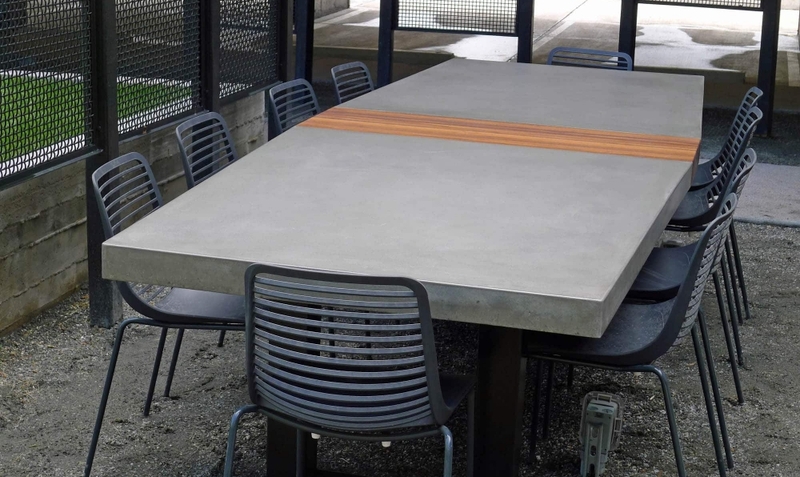 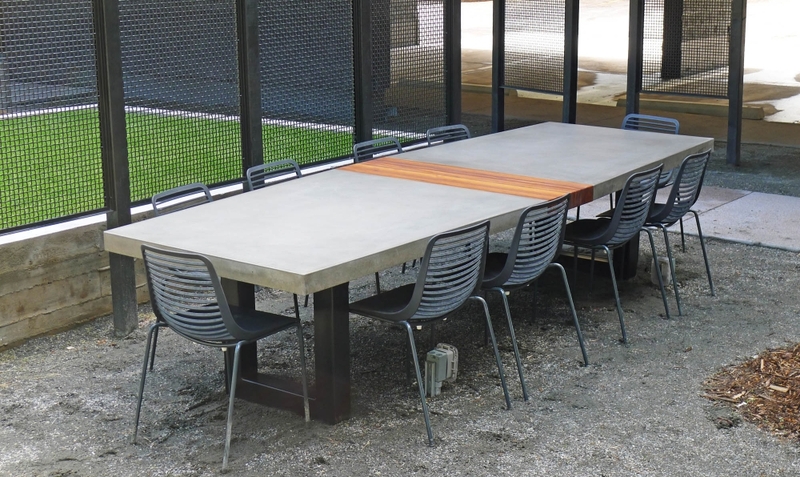 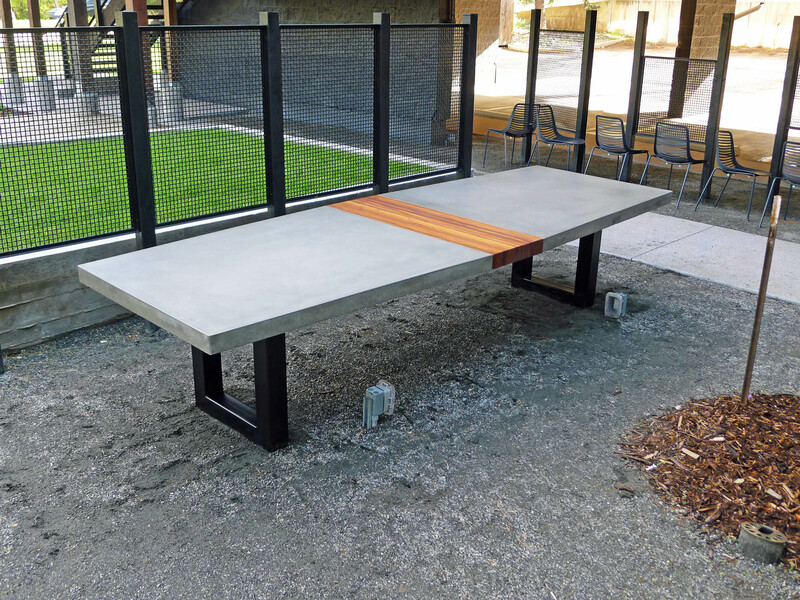 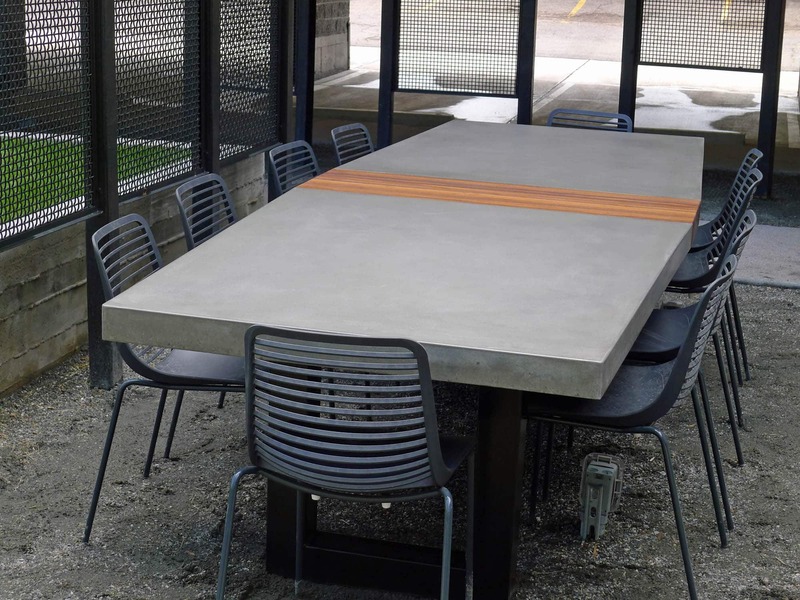 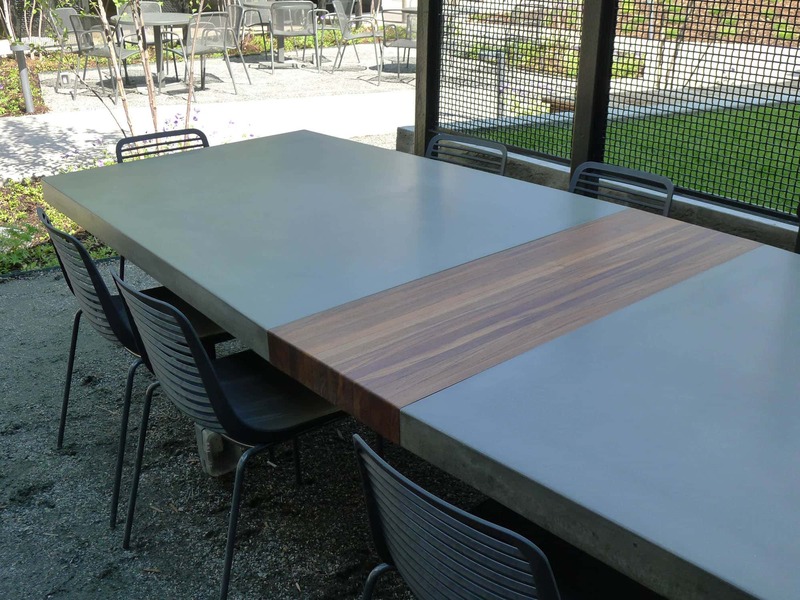 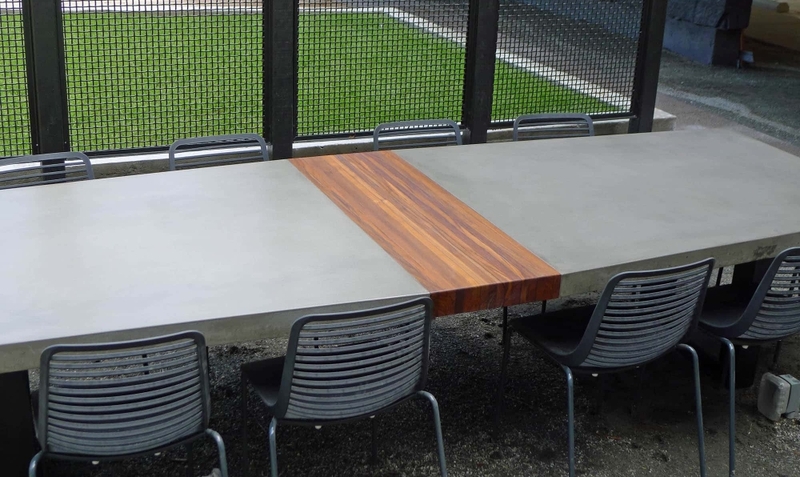 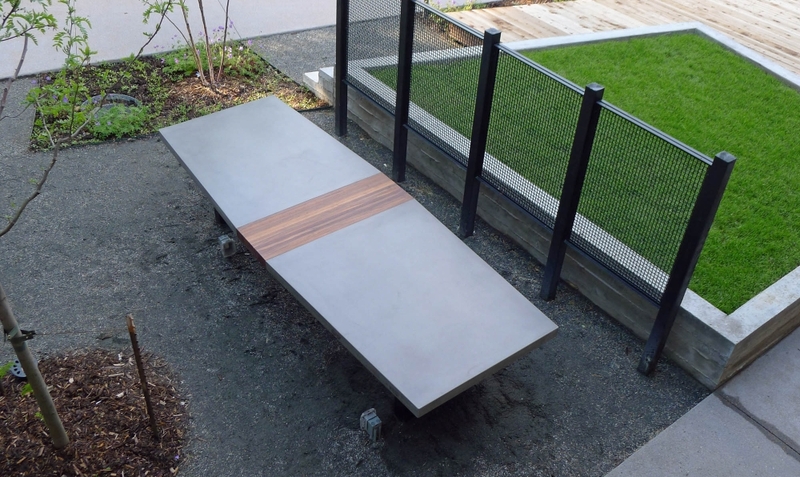 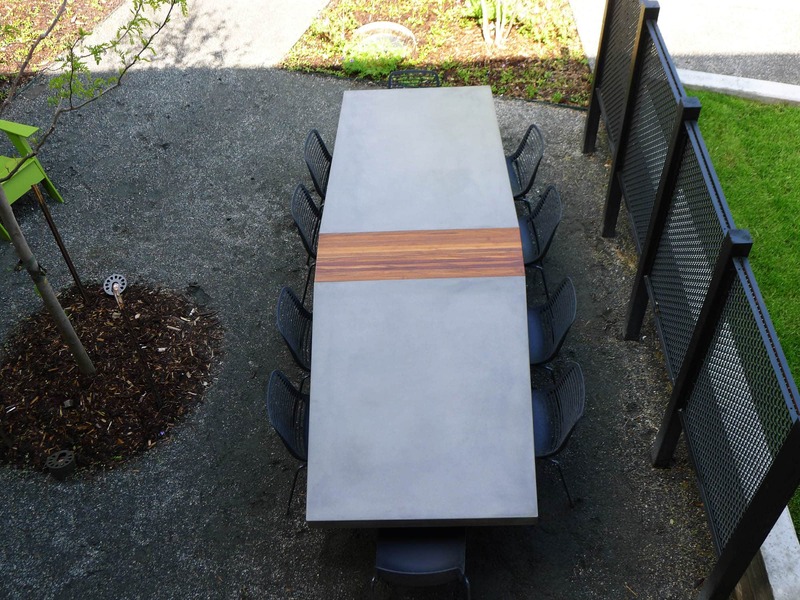 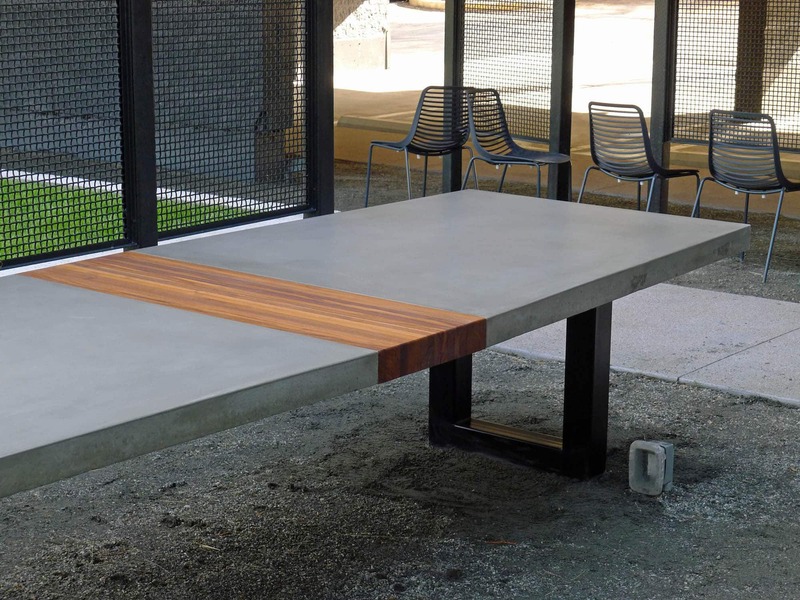 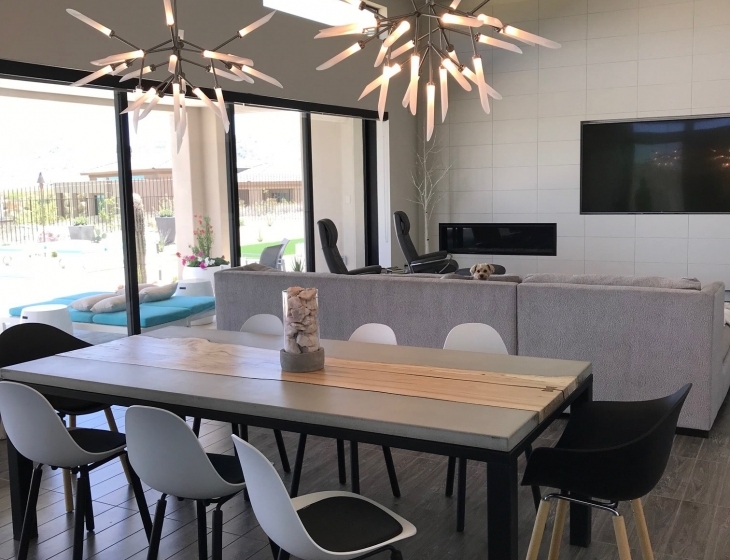 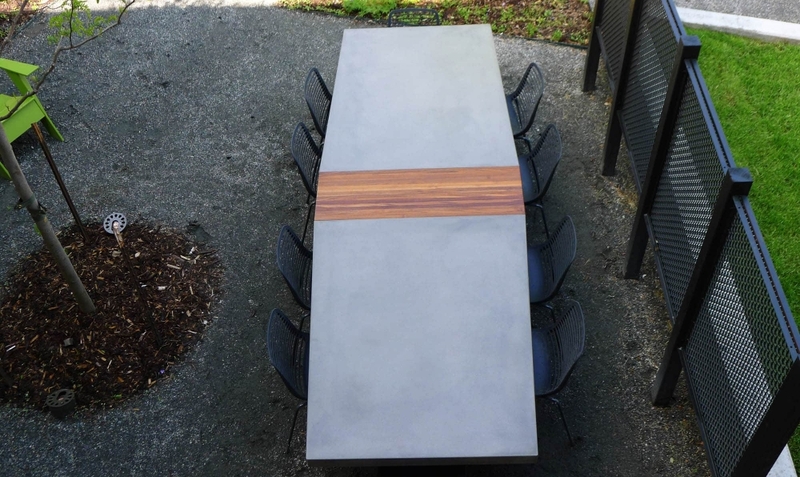 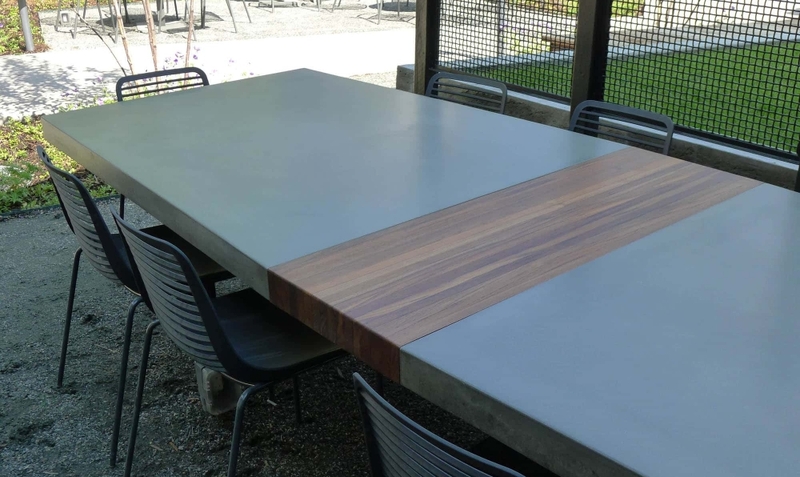 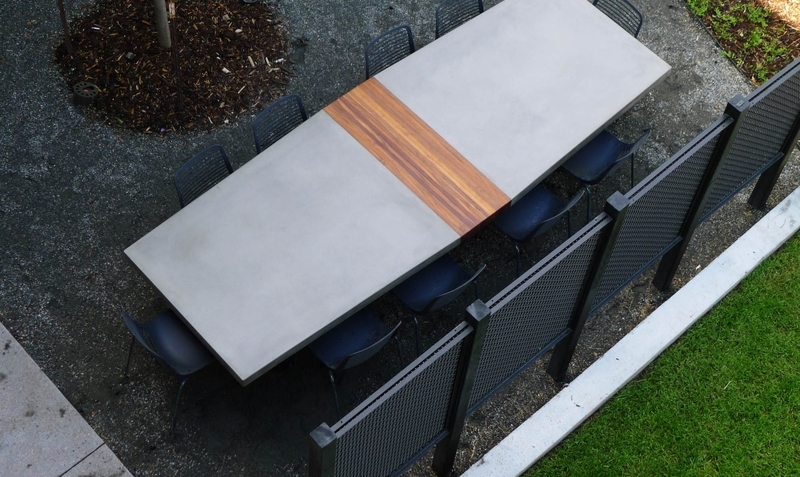 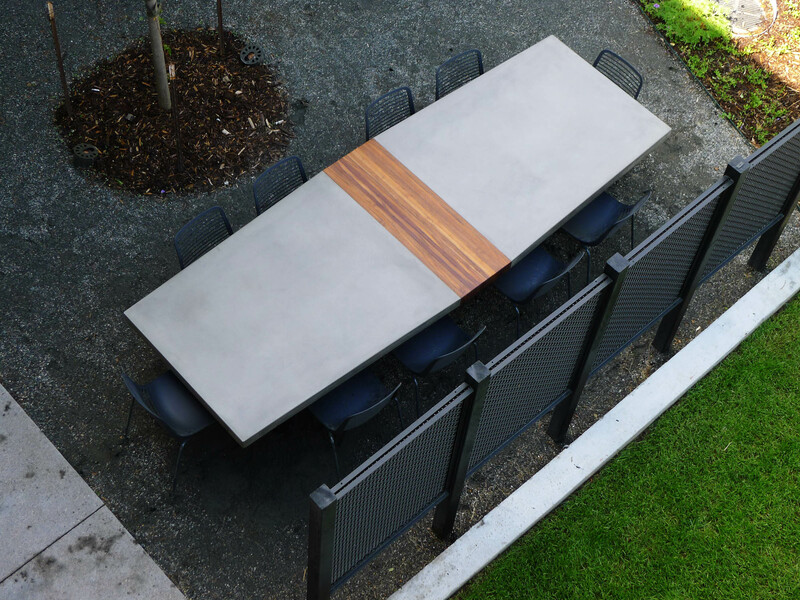 14′ outdoor concrete and teak conference table at 207 Canyon in Boulder, Colorado. 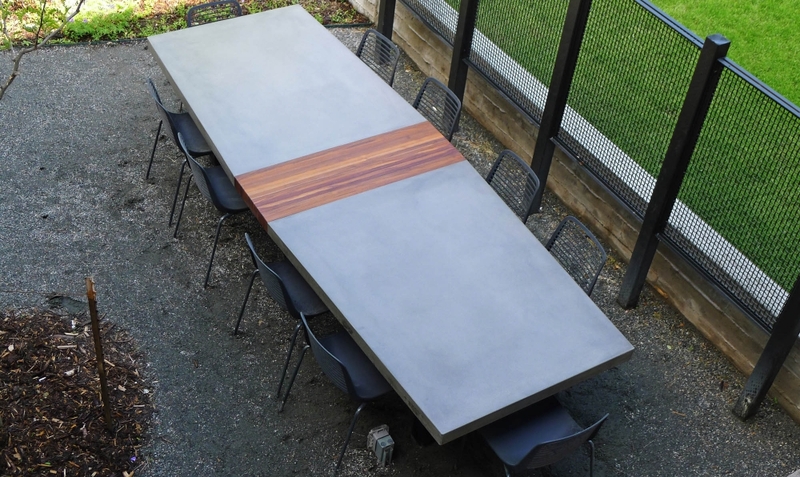 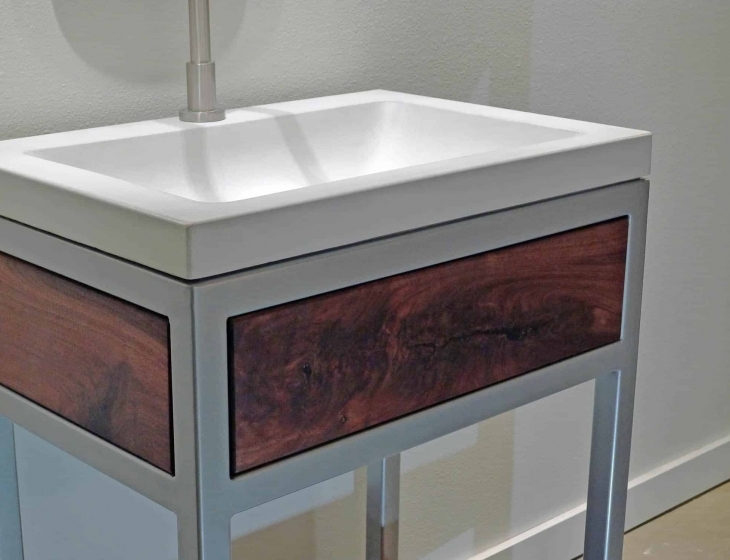 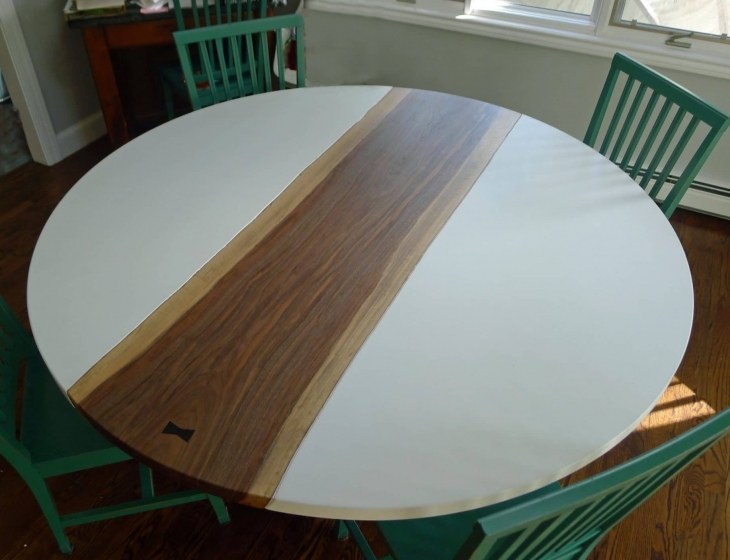 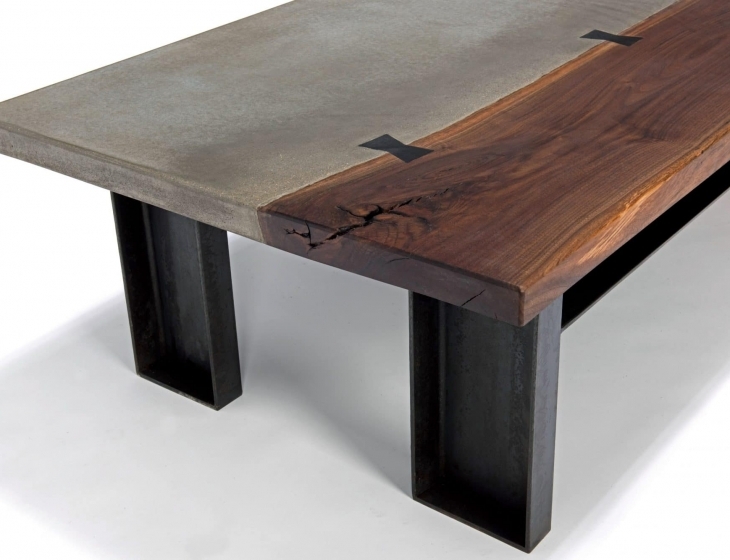 Cast with a subtle taper to the 3″ thick teak slab, this octagonal table will easily seat 10-12. 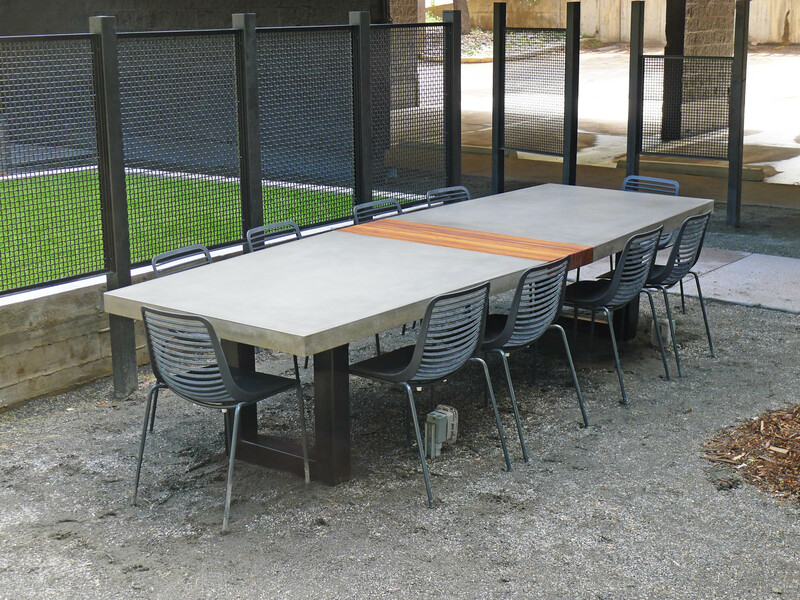 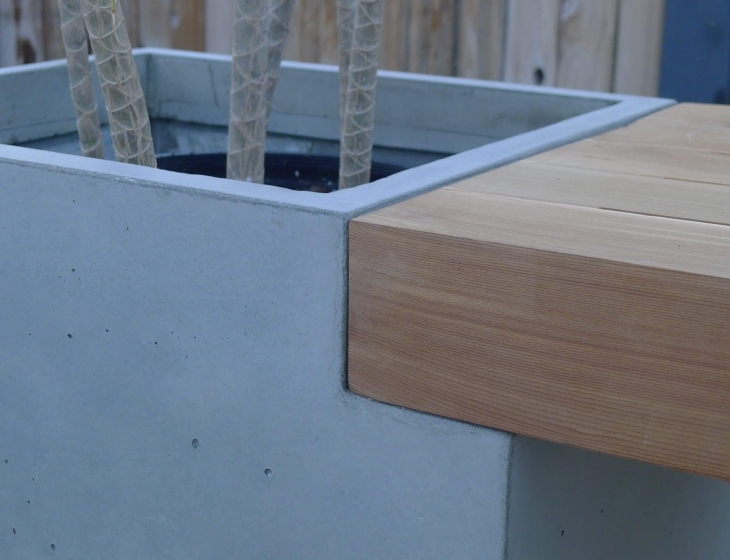 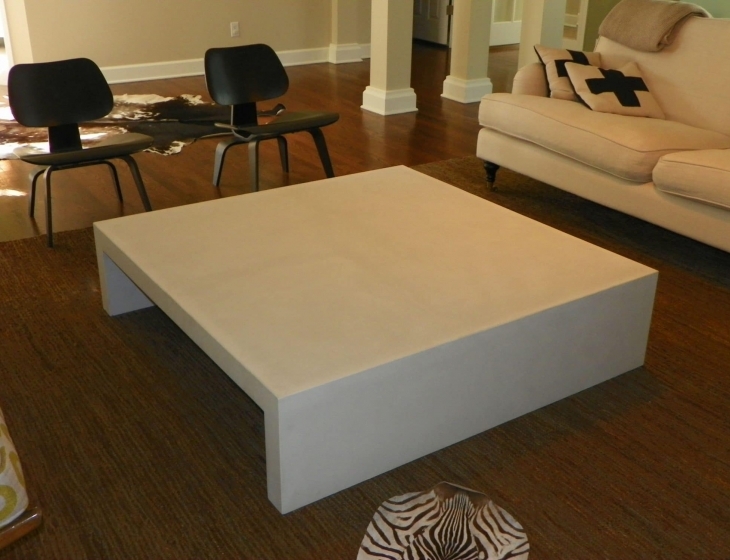 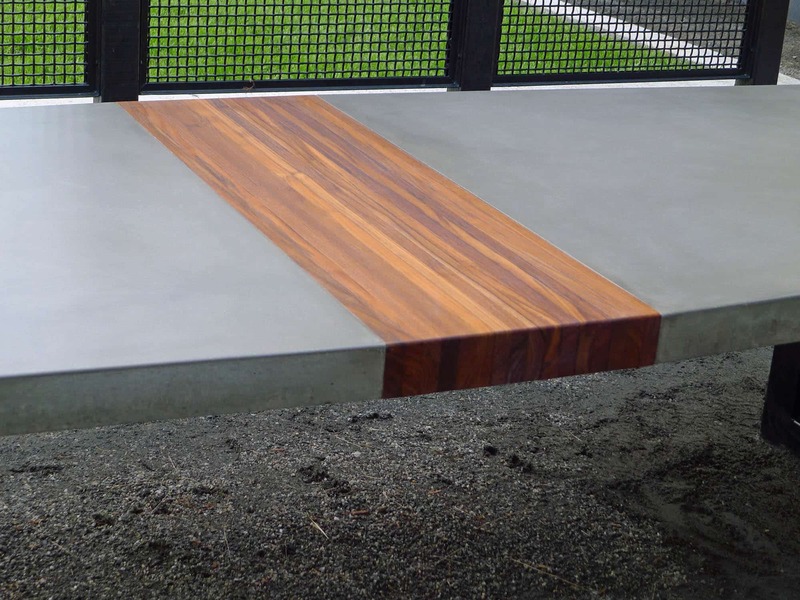 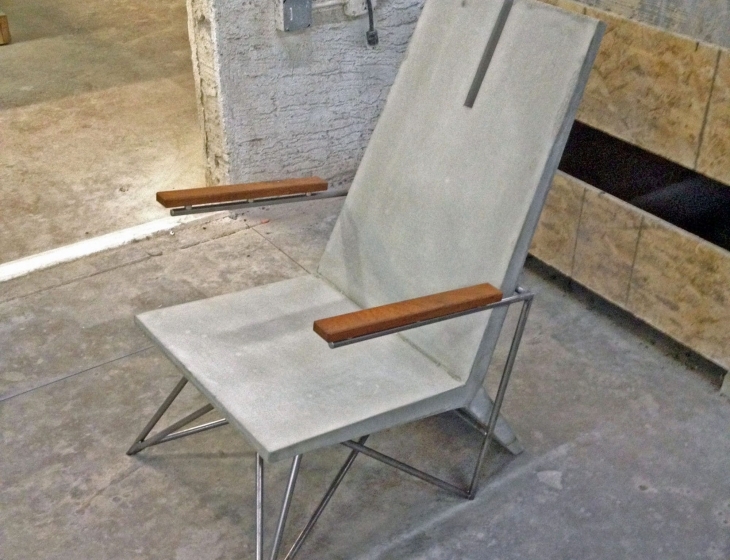 Steel base is welded from 4″ square tube and powder-coated black for outdoor durability. 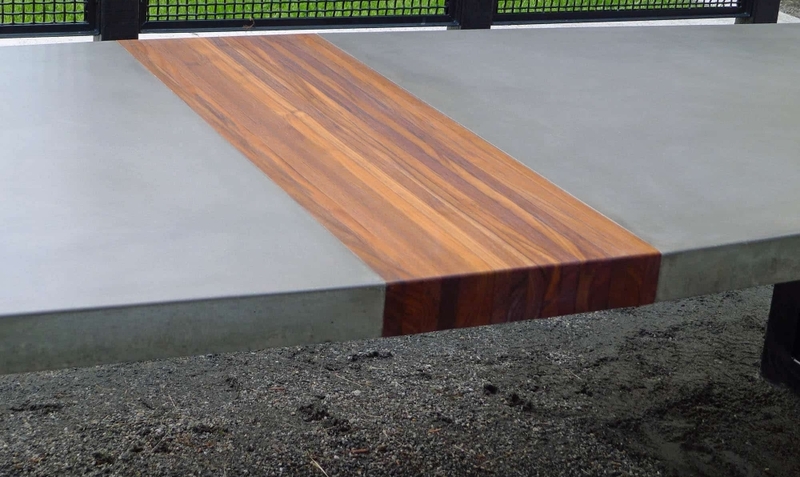 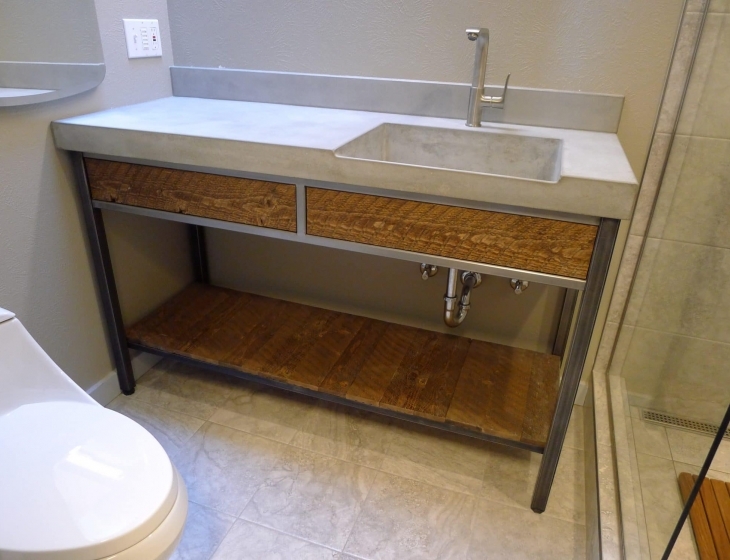 Teak wood is gorgeous and has long been used for boats. 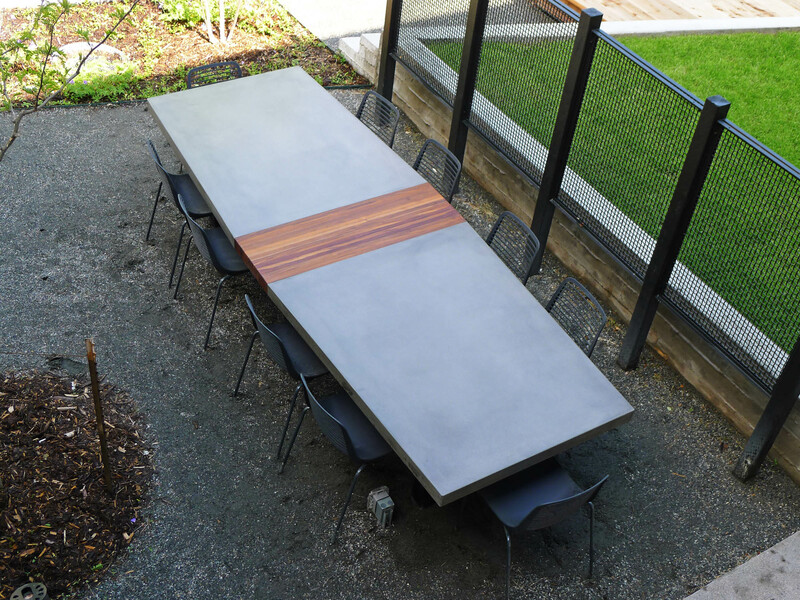 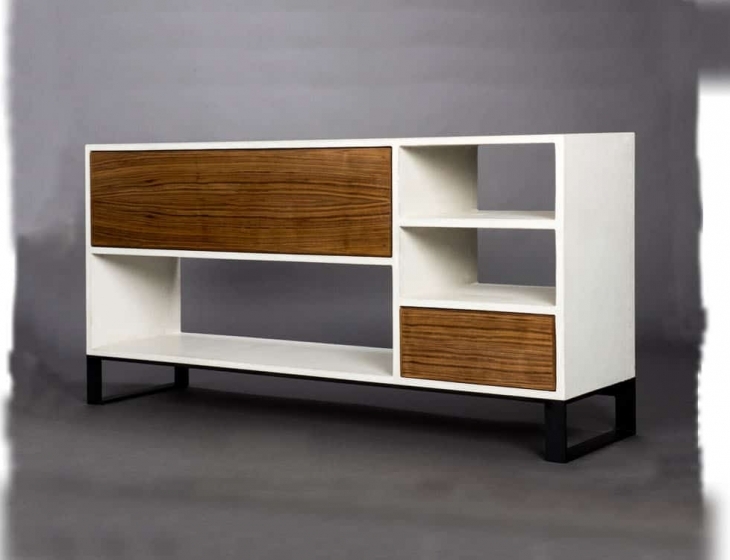 It is a great choice for pieces that live outside.